Delicious barbecue is something everyone should make at home at least once. While many might think this food is reserved for restaurants only, it's incredibly simple and rewarding to make barbecue at home. Having full control over the flavors and techniques you use is much more fun than simply placing an order, not to mention all the ways you can experiment. For starters, did you know there's more than just one style of barbecue? Places around the world and across the United States all have their own signature ways of barbecuing, as well as the signature meats they use to do it. 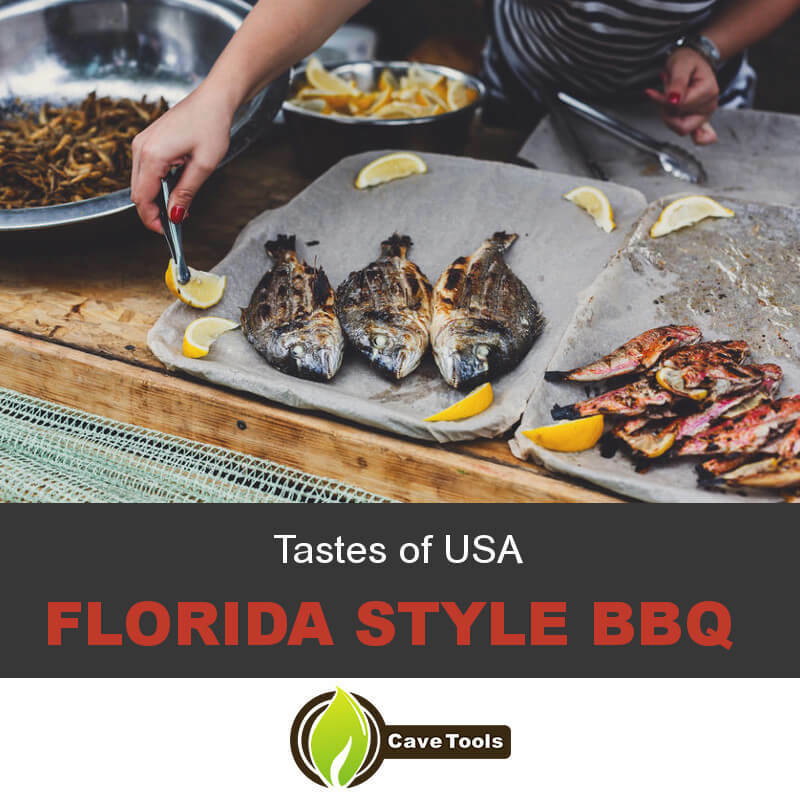 ​We've already talked about different barbecue styles such as Texas style bbq, Kansas City style bbq, South and North Carolina style bbq, Memphis style bbq, St. Louis style bbq, Kentucky style bbq and other regional barbecue styles. Today in our Tastes of USA BBQ series we'll be looking into Florida-style barbecue and learning how to make the state's signature smoked mullet. How do we do it? What makes Florida barbecue so unique that so far you could only find it in barbecue restaurants? Let's get started to find out. Florida-style barbecue is a mixture of various different regional styles mixing together into a new, unique entity. Elements from southern United States and Caribbean barbecue have been incorporated into the state's own techniques for cooking. Though less popular in recent years, one of the state's claims to fame when it comes to barbecue is its smoked striped mullet. Yes, it's not your usual Texas beef brisket, pork shoulder or South Carolina barbecue. The fish's natural flavors are accentuated by the slow smoking process as well as a sweet brine. Chicken and meat dishes, as well as beef ribs and other types of fish, are also commonly found, especially in Miami. While sauce isn't a component of this, the typical style used in Florida takes inspiration from South Carolina, which uses a primarily sweet vinegar sauce. Citrus-based sauces are also common, taking a cue from certain Cuban sauces. Before you can begin smoking your mullet, you'll need to gather a few supplies. Wire racks (2 to 3). Striped mullet, split in half and deboned (about 5 lbs). When barbecuing, the wood you use is just as important as the techniques employed and seasonings you put on the meat. In Florida, common woods used for smoking include red oak, hickory, and buttonwood, though you can always choose to use others if you wish. The same goes for chunks or chips, though you'll need to soak the chips in hot water for 1 hour prior to cooking for best results. Once you've gathered your supplies, you can move on to cooking. The first thing you'll need to do before you can smoke your mullet is brine it. While it might seem odd to take a sea creature out of the ocean only to place it back in a salt solution, this is the best way to introduce the spices and flavors necessary to the barbecuing, as well as to ensure the fish stays moist during the long cooking process. Rinse the fish inside and out with clean water first, then create a brine solution of 1 cup kosher salt, 1 cup firmly packed brown sugar, 5 crushed bay leaves, and 1 tablespoon of onion powder, mixed with just under a gallon of water in a large bucket. Mix well, then carefully submerge your fish, adding more water to cover as needed. Cover the brine and let the fish soak for up to two hours (how long you soak will determine how salty the fish is). Now that the fish is thoroughly wet, it's time to dry it off. After it's had a chance to brine, remove it from the solution and rinse it off in cold water. Dry it thoroughly with paper towels before placing the fish on wire racks inside a roasting pan and covering with paper towels. Place the fish into the refrigerator and let it dry out some (this will take at least two hours). Near the end of drying, you can start to prep your smoker for cooking. If you're using wood chips, this is a good time to begin soaking. Place your charcoal into the smoker and allow it to burn. The target temperature is around 225 degrees Fahrenheit consistently. Once this has been reached (and the chips have soaked, if using) fill the water pan and place it and the wood into the smoker, allowing steam and smoke to build up with the lid closed. Once your fish has dried and the grill is prepped, take the mullet out of the fridge and season it liberally on all sides with freshly ground black pepper. Let the fish sit at room temperature to warm up slightly before you proceed to cooking. 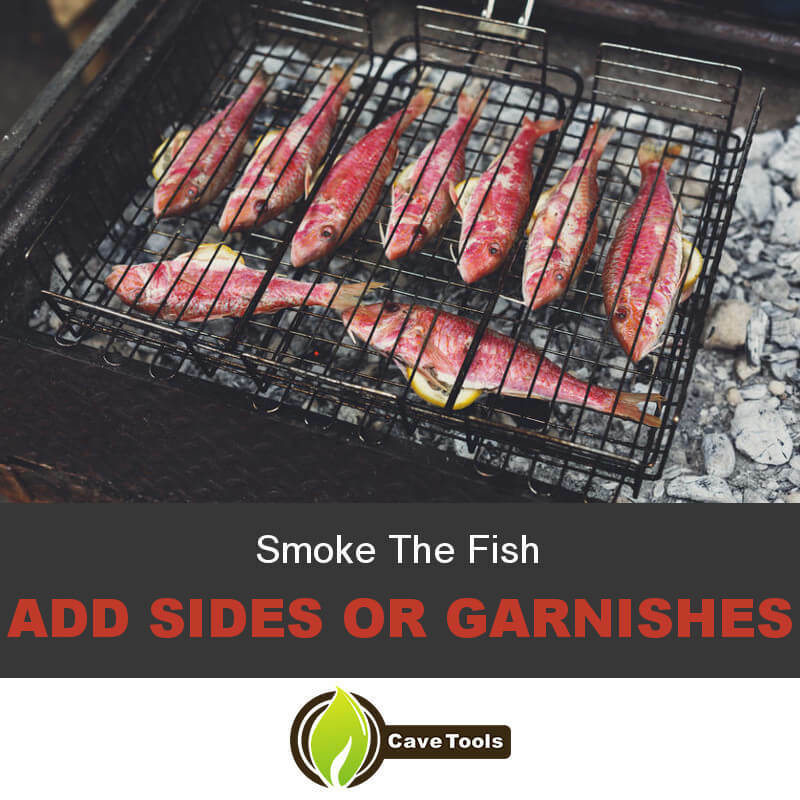 When warmed slightly, place the fish inside the smoker skin side down and begin smoking with the lid closed. The target temperature for fish is 145 degrees Fahrenheit, which will take around two hours to accomplish. Check the fish often and monitor the levels of charcoal, wood, and water, adding more of each as needed over the length of smoking. The fish will be done once the flesh flakes off easily with a fork. Once the fish has cooked through fully, remove it from the heat and let it rest for ten minutes. During that time, you can gather some sides or garnishes if you want. Freshly chopped parsley is typically sprinkled over the fish when it's served, and it is often served alongside crackers with hot sauce and a lemon or lime wedge. While not quite as well known as other regions, Florida still has plenty to offer in the way of delicious barbecue. Smoked mullet is just the tip of the iceberg, though, as there are plenty of other great Florida-style dishes to sample. Did you enjoy this recipe? What do you think of Florida-style barbecue? Have any tips on smoking fish? 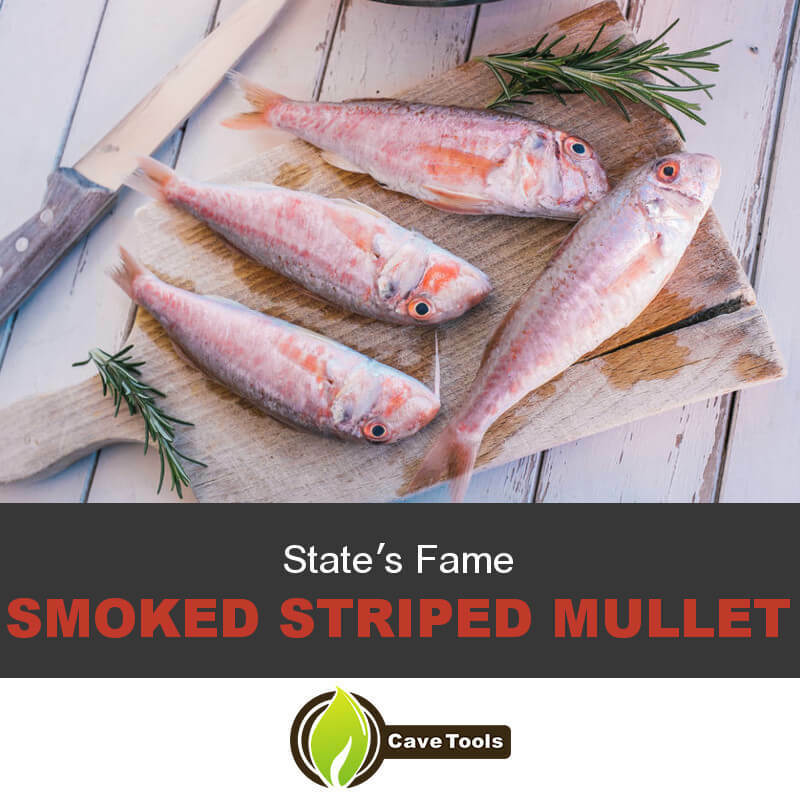 Tell us in the comments, and don't forget to send this page to a friend who hasn't yet tried the taste sensation that is smoked mullet. Smoked mullet is a long-standing tradition in Florida. Mullet is an easy to catch fish that is abundant along the coast of Florida. Smoking the mullet is a way to preserve the fish so it will last through the winter. Does Florida Style BBQ Have Its Own Barbecue Sauce? Florida style barbecue doesn’t not have its own barbecue sauce. Their sauces are inspired by their neighboring state, South Carolina, and use sweet vinegar as the base of the sauce. It is not uncommon to see Cuban-style sauces, either, that are heavy with citrus juices. What is a Mullet Fish? Mullet is a small vegetarian fish common in tropical and subtropical waters. They are usually two or three pounds, but can grow as large as six pounds. They are the only fish to have a gizzard (similar to a chicken) that allows them to digest plant materials. What Does Mullet Fish Taste Like? Mullet fish has a firm texture and a slightly fishy flavor. When smoked, it obtains a nutty, rich flavor that is incomparable to other types of fish. Can You Make Smoked Mullet Dip From Smoked Mullet Fish? It is very common to blend chunks of smoked mullet with cream cheese or sour cream. Most smoked mullet dips are seasoned to be slightly spicy by using tabasco sauce or jalapeno slices. The dip is traditionally served with lemon wedges and saltine crackers.